The science column Ask Your Science Teacher has appeared weekly in the Tomah Journal since 1993. A similar column, Science Made Easy, has been published in the Monroe County Herald for the last two years. It is a Question and Answer format. The questions come from both school children and adults. Students receive a coupon from McDonalds and Pizza Hut if their question is chosen to be in the newspaper. 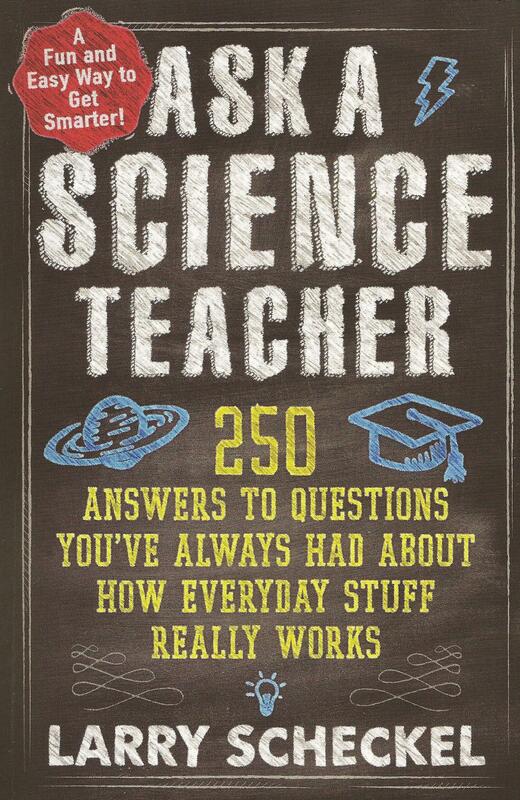 Past questions have been formatted for a book Ask Your Science Teacher published in 2011 and another book from Experiment Publishing entitled Ask A Science Teacher, which came out in 2013. A new book, I’ve Always Wondered About That, by Tumblehome Learning, from the Boston area, is due out this Fall 2017. I’ve included a column below from 1994. Question: If you are in an elevator that is falling, can you save yourself by jumping up just before the elevator hits ground level? Answer: A fine question and one that people have debated for many years. Good luck, but if the elevator falls any significant distance, jumping up will not make much of a difference. First of all, if a cable broke, you would be in free fall and floating around inside the elevator. The astronauts in the space shuttle are really in the same situation. They are in constant free fall. There is only a slight chance your feet will be in contact with the floor when the elevator runs out of shaft. But let’s say your feet are ‘velcroed’ to the floor and you can somehow tell the proper time to jump upward. Pretend the elevator falls 10 floors, or about 120 feet. You would be going about 88 ft/sec or 60 mph. Let’s pretend you can jump up in the air a distance of 4 feet. (Only a few basketball players have a 4 foot standing jump). You would jump upward at 16 ft/sec or about 10 mph. So, if you subtract the 10 mph from the 60 mph, you’re still slamming into the ground at 50 mph. Now remember, most of us can’t jump up a distance of 4 feet. We’re lucky to do 2 feet. Not to worry. If the elevator cable breaks, safety devices will stop the elevator from falling. Elisha Otis invented the safety elevator in 1885 for the ten story Home Insurance Company skyscraper in Chicago.